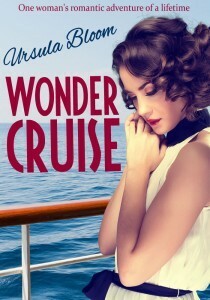 I had an email the other day from Corazon Books, offering me a review copy of Wonder Cruise by Ursula Bloom. Corazon are planning to reprint Ursula Bloom's backlist, in co-operation with her estate. Now, I don't think I've ever read an Ursula Bloom but I do remember her books in my library, especially in large print. Wonder Cruise was published in 1934 & is the story of a young woman who wins some money & decides to go on a Mediterranean cruise. It sounds like a good, romantic read & I'm looking forward to it. Bloom also wrote as Lozania Prole & Sheila Burns. More details about Ursula Bloom & Corazon's plans are here. Corazon are also reprinting Catherine Gaskin's backlist. I do remember reading & enjoying Catherine Gaskin so I've bought a couple of these over the last year & I'm looking forward to rereading them. 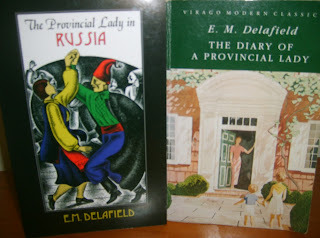 Delphi Classics have announced their next series of eBooks & the title I'm most excited about is the collected works of E M Delafield. Delphi do a great job of bringing together an author's work in a beautifully formatted digital edition at a very reasonable price. Other tempting authors in Series Seven are Frances Trollope & Mary Wollstonecraft. I'd love to know if there are any Ursula Bloom fans out there. The LP books I remember were very pink & in my younger days, I didn't think they were for me. The reprints look as though they'll be aimed at a different audience &, of course, I'm older now than I was when I was shelving the LP Blooms. I doubt I'd be reading Georgette Heyer or D E Stevenson if they were still being published in those cheesy 1970s covers, not to mention some of the dire cover art I remember for Mary Stewart & Daphne Du Maurier! Times & tastes change though & we may be in for an Ursula Bloom revival. All these reprints are very exciting. Recently there's been news of Bello reprinting Mary Hocking & Open Road reprinting Margery Sharp. Who will be next? I am really glad to know about the Delphi Classics and that you approve of them! It's hard to tell good digital editions from bad ones sometimes, and I'm off to spend more time on their web site, so thank you! I've bought quite a few of the Delphi editions. I know that most of the books can be downloaded for free but they are properly formatted (which the free ones sometimes aren't) & they often include rarities, biographies & criticism of the author etc so it's good to have it all in one file. They have some free titles too, compilations of short stories etc so maybe try one of those first? Great news, Harriet. I'm really eager to read it. It's just a shame they are all digital, and not available in paperback. Corazon & Bello also produce paperbacks so you should be able to get hold of them. I read and enjoyed Mrs Bunthorpe;s Respects by Ursula Bloom recently. I've also been asked if I want to review the reprints, but I am waiting for the actual books rather than reading the digital ones. I've read lots of books which I would never have touched back in the 1970s - and enjoyed them. I'm feeling quite excited about the Bloom reprints. As you say, I would never have read her in my younger days but I read a lot of authors now that I was unaware of back then & probably would have been too much of a snob to read if I had known about them! All these rediscoveries are wonderful. If only I had more reading time!